Roll Massif is a new collection of eight road, gravel and mountain bike sportives across the state of Colorado. On the gravel front they promise two impressive sportives including Wild Horse Gravel in De Beque and Crooked Gravel in Winter Park. The organizers promise an immersive community experience in some of the most beautiful parts of Colorado. 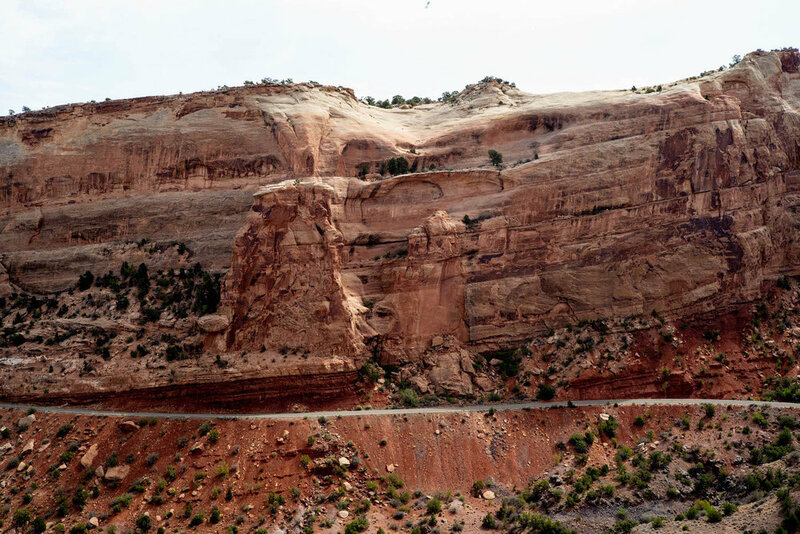 Destinations include the Colorado National Monument, Castlewood Canyon State Park and Winter Park. Fast forward to 2019 and gravel bikes are a thing. Our two routes take in the very best of Grand County gravel, with long, winding climbs up through aspen and pine forests, wide open descents under the massive Colorado sky and – on the long route – some secret tracks never before explored in a cycling event. If nothing worth doing is easy, then Crooked Gravel is certainly worth doing… Both routes tackle over 5,000 feet of climbing on gravel, beginning in at 8,500 feet elevation. It’s all held in downtown Winter Park. Winter Park is a Rocky Mountain Mecca for skiing and mountain biking, but only a select few know what an incredible place it is for gravel riding. Crooked Gravel will change that. Riders will all set off en masse regardless of which route they are doing, how old they are, or how fast they want to go. This is how we Roll Massif. Once the timed segment on the climbing starts, riders who want to test their legs and their friends will power ahead, while those who would just prefer to go their own pace will settle in for the climb. There is no one right way to ride Crooked Gravel. Co-founders Chandler Smith and Scott Olmsted have a combined 30 years experience putting on the biggest cycling events in Colorado. Robin Thurston serves as an investor and adviser to Roll Massif. Event veterans Liz Brown and Tracy Powers join cycling media veterans Nick Ramey and Ben Delaney in rounding out the team. Roll Massif will also have two 12-hour mountain bike races, Sunrise to Sunset Elephant Rock and Sunrise to Sunset Winter Park. Kids 18 and under ride free in the six road and gravel sportives. Older PostThe RockShox Reverb AXS: The First Great Gravel Dropper Post?